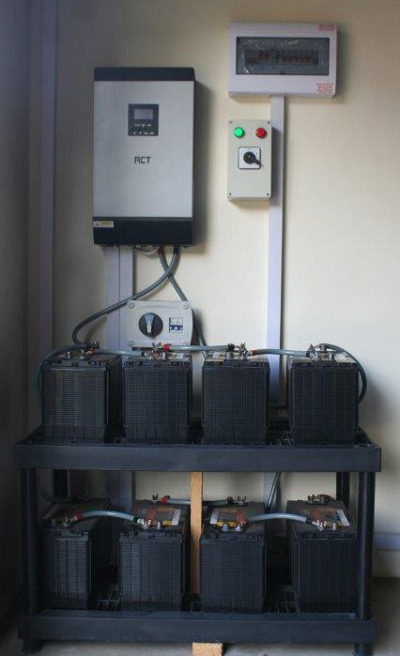 After a long break, with lots of valid excuses, we tackled the solar panel (photovoltaic panels) mounting, cabling and connection to the RCT hybrid inverter power unit. 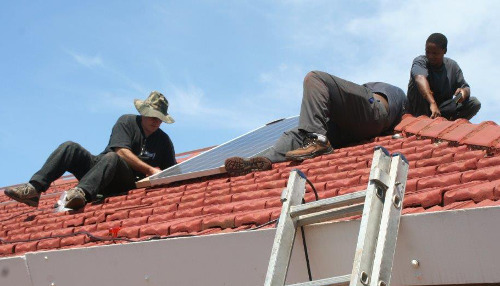 Of course, just our luck that we choose one of the hottest days in Durban to do the installation – loads of sunscreen, lots of liquids, big hats and lots of determination we started the solar panel installation on the Marseille tile roof. 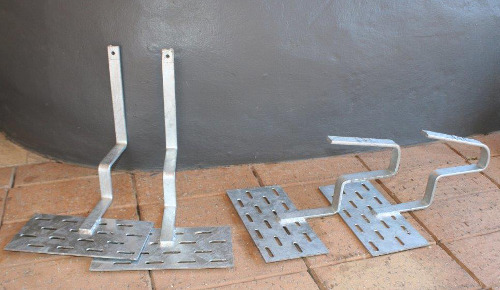 Total for the brackets – R1735.00 (saving of about R3300). Our DIY tiled roof solar panel brackets, the bent brackets were for the bottom of the panel, so that it increased the angle of the panels on the roof. Total for the aluminium rails R420 (saving of about R3000). You can see the aluminium rails connected to the galvanised brackets, this is just before we started mounting the panels on top of these rails. 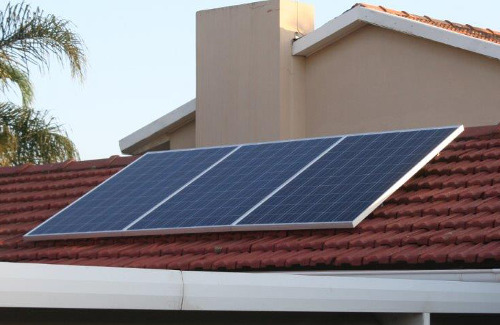 Total solar panel mounting cost – R2555.00. 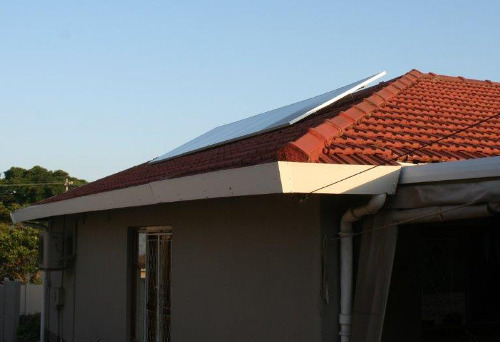 Total mounting cost per panel – R284 (Estimated cost quoted by installation suppliers R1000 per panel). So as you can see, our DIY brackets and railings ended up being a fraction of the price compared with using the special purpose-made mountings – but it does take longer to install, as nothing is a “clip in and fasten” with mounting holes needing to be measured and drilled for each panel. My advice to the self-installer – do it the way we did, but there is no way a professional solar installer would want to spend extra time mounting the panels. As each of these panels is securely attached to the railings, we grounded the railings to an earth spike 1m away from the side of the house using 8mm cable for each array of panels. 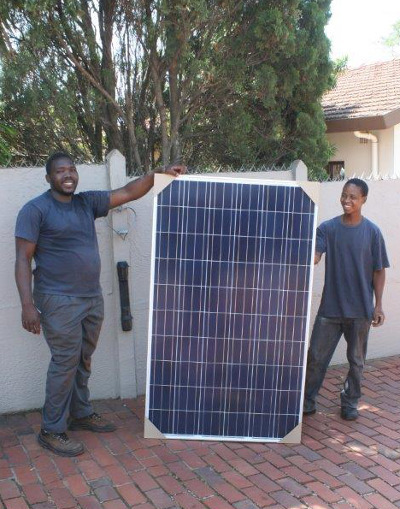 Total for the cabling of the solar panels to the hybrid inverter – R2361.28. We are still building up a good record of the performance of the solar panels on the attached notebook and need to tweak the settings of the hybrid inverter, but we are using the solar panels during the day and batteries for the first 4 hours of nightfall, before the unit clicks back to the Escom grid. The load has also been increased, which now includes the entire garage and bunk room behind the garage, as the system was ticking over with about 5% load. A big thank you to Eyegagasi Cabling for their patience and guidance in the whole DIY project, Themba Msani and his trusted assistant Ndumiso worked tirelessly to get this solution connected, not to mention the work on the original inverter and re-cabling project a few weeks ago. One cost we have yet to include is the labour costs from Eyegagasi. Excluding these labour costs, our backup solar power solution currently stands us at R53 000.00 including the re-wiring of circuits from and to the new sub DB board. We elevated our panels a little more than the 19 degree pitch – it helps to increase the efficiency of the panels and also allows the rain to clean them better as the run off angle is greater. 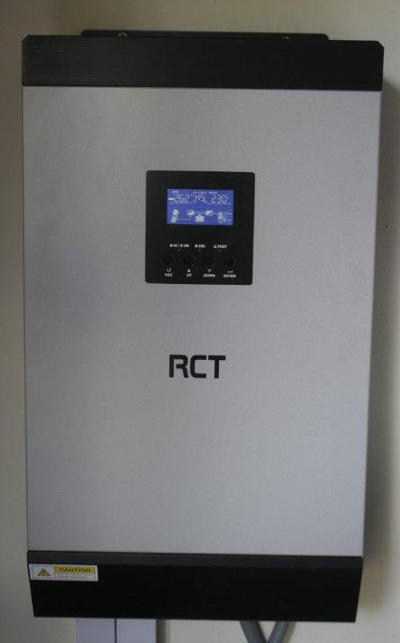 Only connect the solar array to the system once everything has been cabled – leave the first connection in the array disconnected at the MC4 splitters and complete the cabling at the inverter and switch, once you are ready connect that last piece of the puzzle – the high DC current is rather dangerous. Expect to break files and battens. I think grounding the solar panels is an absolute must. Run as much cabling inside the roof in conduiting, it saves having to buy the expensive weatherproof solar cable. Once we build up some stats on the performance of the system, we will publish a final report on the solar backup solution. PS. 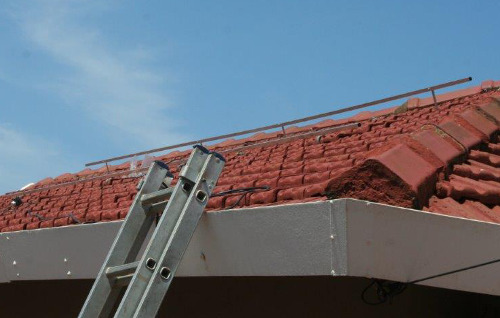 I just about fell through the roof once, in total we broke about 10 tiles and 3 of those were right at the top copings, which meant we had to re-cement the replacements and coping. Next articleLawyers: How will new clients find you? I am really not an expert, or qualified to give advice, just a home DIY type of guy. My isolator cost a fortune, as I imagine you have found out. 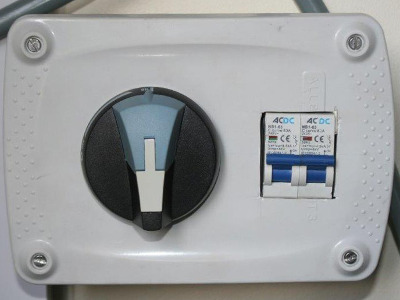 You must check this with a qualified person, but I would imagine two large circuit breakers, one for live and one for neutral, should do the trick – but the isolators obviously are recommended. Why should a law firm use a CRM system? Why should people do business with your law firm? Tech4Law is an independent and unbiased practical practice journal focused on helping lawyers practise law more effectively and efficiently.